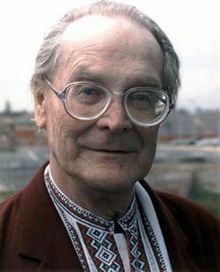 Konstantin Buteyko was born on 27th January 1923 in Ivanitsa, near Kiev. Following his schooling he initially began training to be an engineer until the war intervened. After serving with the Russian armed forces he decided to follow a career in medicine and enrolled as a medical student in Moscow in 1946. During his medical studies he was given a project of making observations on patients’ breathing rates in relation to the severity and prognosis of their illness. He soon came to the conclusion that there was a correlation between these two factors, such that as a patient’s condition became more severe so their breathing rate increased. After qualifying as a doctor he continued his studies on the relationship between breathing and ill health. He reasoned that if there really was a connection between hyperventilation and illness it should be possible to reverse this by deliberate breath control. Having already made a study of several texts on yoga he was aware of exercises in breath restriction and so began to experiment both on himself and with his patients. He was encouraged by his initial success but found it very difficult to persuade his colleagues, and in particular his superiors, of the benefits of his new approach. As a result he was sent to work in a laboratory in Siberia where, fortunately, he was allowed to continue to work on his ideas. By the early 1980s the Russian authorities were sufficiently impressed to allow him to conduct a formal trial, or ‘approbation’, with asthmatic children in a Moscow hospital. Although very different in design from the standard controlled trial now predominant in the west, the results were sufficiently impressive to persuade the State Medical System to approve the technique for widespread use. In the late 1980s a businessman from New Zealand was admitted to hospital in Russia for treatment of an acute asthma attack. He was introduced to the BBT, (known in Russia as ‘Voluntary Elimination of Deep Breathing’ or VEDB), and found it extremely helpful. As a result a Russian teacher moved to New Zealand and began teaching patients as well as training new teachers. This process quickly spread to Australia where the first blinded, controlled trial of BBT was carried out in 1994 (Bowler et al, 1998 Buteyko Breathing Techniques in Asthma: a RCT. Medical Journal of Australia, Vol. 169, pp.575-578). “Before telling you about the basic concept of the method, I would like to emphasise that I describe medicine generally in two directions. One direction is the so-called official western. The other, eastern medicine -in particular is the Tibetan medicine or judd-shi. It has transpired that the truth is on the side of the eastern medicine which has always stated that diseases occur as a result of diseased breathing. The essence of my technique is however in decreasing the depth of breathing. You would ask me how? The best way is through relaxation of the muscles that potentiate the breathing action. What then occurs is a sensation of having insufficient air if the breathing is reduced.